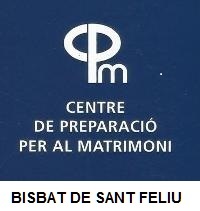 PER UN GRUP D'OLESANS, AQUEST PEREGRINATGE SIGNIFICA UN ACTE DE PARTICIPACIÓ A LA PREGÀRIA DE LA LLUM QUE ES GENERA PER L'ASSISTÈNCIA DE MOLTS JOVES DE PROCEDÈNCIES I DE RELIGIONS CATÒLIQUES DIFERENTS. LA COMUNITAT DEL GERMÀ ROGER ACULL A UN APLEC DE LA JOVENTUT DE TOT ARREU AMB CREENCES BEN DIFERENTS, PERÒ QUE TOTS BUSCAN SEGUIR EL CAMI DE DÉU. L'AMISTAT, LA PREGÀRIA I EL SILENCI COL.LABOREN A UN AMBIENT DE PAU. PODEU DEMANAR INFORMACIÓ A CARLES JUANÍ, TENINT EN COMPTE QUE SÓN PLACES LIMITADES A LA CABUDA DE LES PLACES DELS HOTELS.